There's nothing quite like realising that the hero ingredient of your next meal – and decidedly the most expensive part of your meal – is something that we humans are not able to find on our own. Dependent upon the nose of a well-trained dog (or a pig, as it used to be), truffles need to be expertly sniffed out and we are pretty much useless in this capacity. But watching the eager Shadow, a slippery little black dog, and gentle Sal, a golden labrador, work with their handlers, Kate Marshall and daughter Rita, it becomes evident that it's a partnership that relies also on the skills of the dog handlers. And it's this that we've all come to watch. 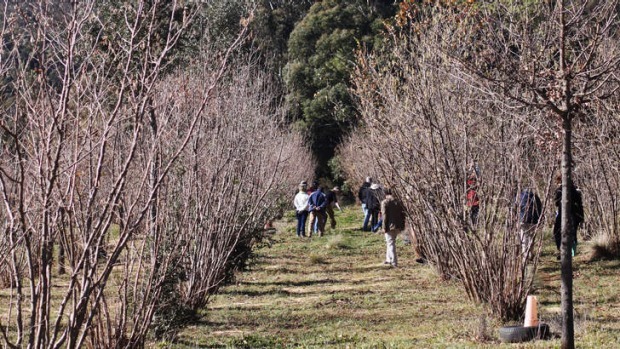 We're hunting truffles at Kate and Peter Marshall's property, Terra Preta, a black truffle farm near Braidwood. Although it's a farm, truffles grow sporadically and the hunt for them is just as exciting as finding buried treasure. Following the dogs' interest at the base of oak and hazelnut trees, Kate and Rita begin carefully digging and shifting around dirt. Very soon the curved top of a truffle is evident, hovering just below the surface of the ground. Like an iceberg, it's not always easy to tell what's underneath. The truffle is excavated and wiggled out to many oohs and ahhs. As the hunt goes on, truffles are unearthed one by one and the dogs patiently wait for their reward. Those watching excitedly hold the dirt-covered gems in their hands, turning them over, silently weighing them and getting acquainted with the heady scent of damp earth and earthy truffle. The day's hunt goes so well, that eventually everyone even gets a turn pulling up their own truffle. Between the cold, crisp winter air, digging around in the dirt and breathing in the perfume of truffles, it's certainly enough to work up an appetite. Luckily, not far away, the Sully-Watkins family over at the Old Cheese Factory are preparing us a three-course truffle lunch from locally sourced produce. We're welcomed with some of their hot mulled cider that is a delicious artisanal treat made with heritage cider apples, the specialty over at the Old Cheese Factory. With Gina in the kitchen, brother Gary making the cider, and parents Bob and Margaret helping out, it's very much a family affair, much like at Terra Preta. Lunch features fresh bread with truffle butter, a hearty vegetable soup with truffle pesto and wonderfully flaky individual pies of free-range chicken, their own champagne cider and truffles. For dessert, there is truffle rice pudding with poached quince and candied walnuts, followed by Gina's handmade white chocolate truffles and coffee. After the hunt and truffle feast, it's hard for anyone to resist getting one of the prizes dug up on the hunt to experiment with at home.These mysterious, dark funghi with reptilian skins and a marbled, intensely perfumed interior are a highly prized ingredient. This is especially so when you consider their short season and the difficulty and uncertainty behind growing and finding them. But despite how prized they are, don't think you have to produce a dish fit for a Michelin star restaurant to enjoy truffles. They are really at their best in simple preparations with humble ingredients – they pair wonderfully with ingredients such as eggs, potatoes, cheese, butter and cream. And luckily a little goes a long way. At $2.50 a gram, you will only need about 4-5 grams per person per dish for a truly special meal. 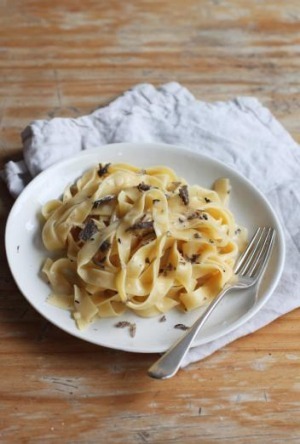 Truffles are easy to use in the kitchen if you keep a couple of things in mind. 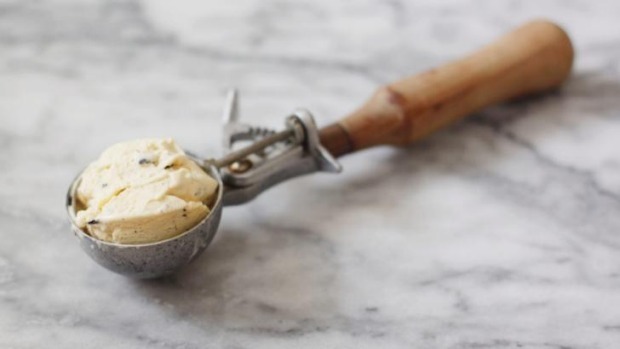 First, use the truffle when at its freshest, as it will lose aroma (and weight) day by day. Secondly, don't try to cook truffle too much. Probably the best way to savour it is simply shaved or grated fresh as a garnish, allowing the warmth of the dish to bring out the aroma (think grated over some scrambled or poached eggs). Here are two easy recipes. 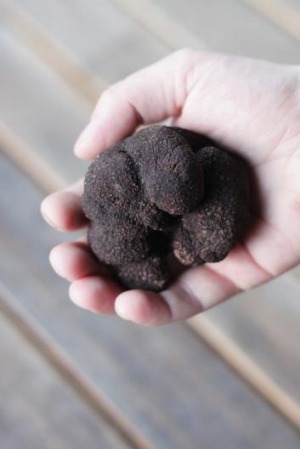 The Canberra Truffle Festival continues until the end of August. Terra Preta farm conducts truffle tours on Sundays or their truffles can be found at the Capital Region Farmers Market at EPIC on Saturday mornings until the end of the season. Sully's Old Cheese Factory is open by appointment or for cider tastings on Sundays only. Put a large saucepan of about three litres of water on to boil. When boiling, add pasta and salt to water and cook until al dente (if using fresh egg pasta this usually takes only a few minutes, for dry pasta follow instructions on packet, usually around 8 minutes). Turn the heat off, drain and reserve about 1/4 cup of the cooking water. Place the pasta back into the drained pot and immediately add the butter, the saved water, the truffle and the grated Parmesan. Toss or stir together gently but continuously until the butter has melted and created a creamy emulsion with the water, coating the pasta. Serve immediately, with some more truffle or Parmesan to grate over the top, if you wish. This idea behind this recipe was given to me by Rob Kabboord, chef and owner of Merricote Bistro in Melbourne's Northcote. The combination of bitter chocolate and sweet, earthy truffle is a stellar one. Kabboord makes an ice cream with a creme anglaise base and whipped cream folded through it, adding the truffle and dark chocolate only at the end when the ice cream is almost fully churned and frozen. This semifreddo is a simple version that is unbelievably easy to make at home without an ice cream machine. Place the eggs, yolks and sugar together in a heat-proof bowl. Place the bowl over the top of a small saucepan of simmering water (be sure the water is not touching the bottom of the bowl) and whip the mixture with electric beaters until tripled in size and very pale and fluffy, about 8 minutes. Remove from the heat, add the truffle and allow to cool to room temperature. When cool, whip the cream and fold through the egg mixture carefully until well combined. Pour into a baking tin or similar container and freeze overnight. Serve scoops of semifreddo with the dark chocolate scattered over the top.